you save 13 % / 70,00 EUR 19 % VAT incl. We are no lowland snow blowers box shifter. We trade this product since 2006. We thus have collect relevant experience, because we ourselves are located in a snowy region of Germany. The devices are sold both wholesale and retail. Before we bring the devices for sale they are tested. Last year we had ample opportunity to do so. In order to increase the ejection output, we can install a more powerful engine with 5,5 PS / 4,05 kW. Thus, this snow blower has enough power and reserve. 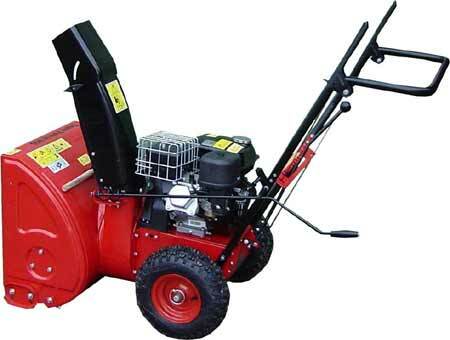 The snowblower comes in the color red. A very ample spare parts stock is available. 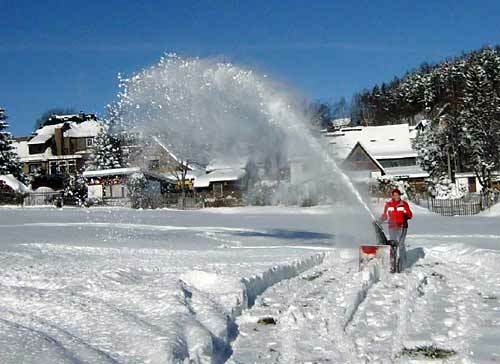 The snow blower works with the proven two-stage principle - the snow is crushed by the low-speed auger and transported to the blast wheel backwards. 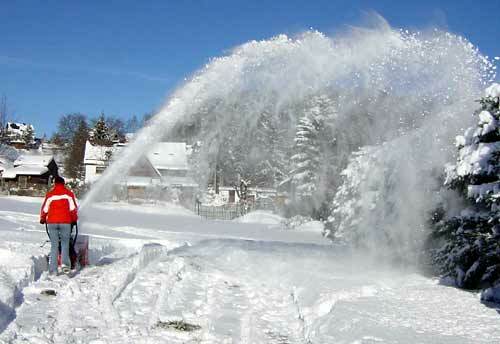 The blower throws the snow out through the chute. The chute can be rotated about 190 °. Depending on snow conditions, you can select the gears. That is, in light powder snow the second or 3 Transition. However, in wet heavy snow you will need to use the first transition. Easy for women to use! !